The Woman in Cabin 10 is a book I've been looking forward to, from the cover to the premise, and I have to say I was not disappointed. It's a tense, taut thriller/ mystery about a travel journalist on a luxury cruise who witnesses what she thinks is a murder. However upon reporting the incident she finds that there is no one registered in the cabin next to hers- the cabin where she saw and heard a body being dumped into the sea. No one on board seems either willing or able to help- and when she keeps pushing she finds out her days may be numbered as well. Lo is an interesting character, she's not necessarily an unreliable narrator but there are times when you wonder if she is going in that direction. She suffers from anxiety and panic attacks, and to make matters worse her home was broken into just a few days before the trip so she's already on edge when the boat sails. I also liked that Lo has a dim view of her therapist from years ago, even though the techniques he taught her help her at various times. It's a neat touch and I think a nice look at the mixed feelings people can have about mental health issues and their own experiences with therapy. This book has a lot of moodiness to it, a lot of atmosphere. The tension ratchets up steadily as Lo investigates and begins to doubt herself and I thought this was handled well. By the last third of the book I couldn't stop reading, I had to see what happened next. I did think the eventual reveal was a little unrealistic but it also lent an intensity and sense of desperation to Lo's actions, and the ending itself was thrilling. There's a little misdirection towards the end that seems fully plausible given the overlapping jurisdictions of UK and Norwegian police, as well as Scotland Yard. I loved how this one ended. 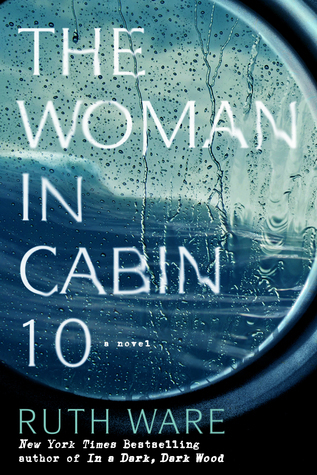 The Woman in Cabin 10 is one of the more enjoyable thrillers I've read this year. There are red herrings and lots of foreshadowing, and I enjoyed trying to figure out the mystery. I didn't see the twist coming and between the onboard intrigue and the Norwegian setting, this one was a definite winner for me. If you like an atmospheric thriller with a flawed, realistic protagonist you can't go wrong with this one. So Carrie is clearly alive at the end- I was just waiting for the shoe to drop, for something to happen, although I wasn't expecting the infusion of francs from a Swiss bank account! That was a nice touch, Carrie letting Lo know she survived. One thing I really liked about this one were the news reports/ social media stuff- even halfway through the story bodies are being found and we're left to wonder- is it Lo? Does she make it? I have been so curious about this one. I wasn't impressed with the "Dark Wood" novel she did though it got rave reviews. Still though, I do find myself wanting to check this one out. Great review! I think it's a good read, and I hope you get to check it out. I really liked the setting and the moodiness of it. Sounds like I need to add this to my reading list after all! Thanks for the review. I hope you read it, would be curious to see what you think! I am so excited for this one. I loved her other book and really enjoyed it. Glad to see you liked this one!! Great review! I need to just head over to Amazon and buy this one. I'm really excited to read it. I loved In a Dark Dark Wood and this is so different sounding but it sounds just as good. Great review! Yeah it's good! I liked the setting a lot and the boat especially- it was smaller than I thought, more a luxurious yacht than an actual cruise ship, but there was still enough room for all kinds of mischief! Ha ha- dive away! It's good and I think you'll like it- I enjoyed it. Ooo I want to read this one so I'm glad to see you enjoyed it! I LOVE books with atmosphere and tension. I may have to bump this one up on my to buy list. It sounds like something I would love. Fantastic review!! Yes you should give it a shot! I liked it a lot... and the moody atmosphere was the best. *fist bump* You already know I enjoyed this one. I totally agree with you about the atmosphere. I'm looking forward to reading Dark, Dark Woods. Dude... this rocked. :) Glad I read it. And yeah the atmosphere was great. You should give it a shot- would love to compare notes with you on it! I enjoyed In a Dark Dark Wood so I'm sure I will like this one too...I think it's next up on my Audio TBR list! I hope you read it, and like it. A nice thriller, and I liked the setting. Yes you should read it! It's so fun... I loved the setting and it surprised me even though I thought I knew where it was going. I remember wanting to read this when I saw it this spring. I am happy to hear this was a good one. Thrillers are so hit and miss. I will have to see if I can still get a copy. I have still to read Dark Wood but this is everywhere, I may be tempted. Yours is the second review I have read of this one. I'm so glad you enjoyed this one, Greg. I am looking forward to it. I really enjoyed In a Dark, Dark Wood. I'm really happy you enjoyed this one, Greg! I agree with you, of course, I loved Lo and her moods, her stubbornness, and the thrilling mystery of the whole plot. Great review! She only THINKS there is a murder, intriguing! I have this on order at the library and I can't wait to read it. I love books where I'm not sure whether to trust the narrator or not as they keep you second guessing all the way. Great review, it sounds thrilling! I loved the wrap up, but you are right it was a little unrealistic. I disliked Lo personally, but I enjoyed this book. Great review! This sounds like an intriguing book. 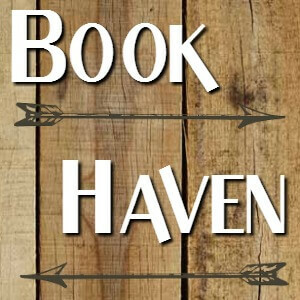 I'm going to have to add it to my TBR. Great review! Glad you enjoyed this one! I really enjoyed Lo as well and all her anxiety. It made her a really interesting character. At times I thought she was going to end up being an unreliable narrator too.